President Barack Obama’s proposed adjustments to the new Health and Human Services rule requiring Catholic institutions, including the University of Notre Dame, to provide health care plans covering contraception, sterilization and abortifacient drugs continue to violate religious liberty, according to O. Carter Snead, professor of law at Notre Dame. “Today’s ‘compromise accommodation’ is nothing of the sort,” Snead said. “The original uproar across the ideological spectrum was in reaction to the administration’s requirement that virtually all religious employers cover abortion-inducing drugs, contraceptives and sterilization in violation of their strongly held beliefs. “Today’s rule still requires religious institutions (on pain of ruinous treasury fines) to purchase insurance that covers these same objectionable services. It is irrelevant that the rule requires the insurance company (rather than the religious institution) to explain to employees that the policy purchased for them by their employer includes the five-day after pill. For institutions that self-insure, the situation is even worse; they will be forced to contact their employees and pay for such services themselves. “It is no answer to suggest that the religious liberty of such employers is being accommodated because they are not ‘paying’ for the objectionable services. First, it is naïve to imagine that the services are truly cost-free and that these costs will not be passed along to the employers who purchase these plans. More importantly, the simple fact is that under this policy the government is coercing religious institutions to purchase a product that includes services that they regard as gravely immoral. Snead, a scholar who specializes in the relationship between bioethics and the law, is the former general counsel for the President’s Council on Bioethics, a White House advisory committee, and was the principal author of the council’s 2004 report on the regulation of new biotechnologies affecting assisted reproduction, human embryo research and genetics. He also serves as a permanent observer for the U.S. government at the Council of Europe’s Steering Committee on Bioethics and on UNESCO’s International Bioethics Committee. 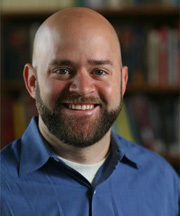 Originally published by Michael O. Garvey at newsinfo.nd.edu on February 10, 2012.